I’m writing with exciting news to share about the legacy of Will Eisner. The Tribeca Film Festival has just announced the inclusion of Montilla Pictures' documentary film, "Will Eisner, The Spirit of an Artistic Pioneer," in the 2007 film festival. Selected from more than 4,500 films, this is a remarkable achievement for producers Andrew and Jon Cooke of Montilla. The Tribeca Film Festival, which takes place on the Lower East Side of Manhattan, is the ultimate venue for the release of this film since Will Eisner and his work have such close ties to New York City. 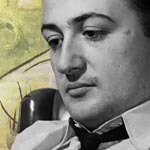 For more information and continuing news about Will Eisner, please visit our new website at www.willeisner.com often. Individual tickets to the Tribeca Film Festival will soon be on sale and general information is available at www.tribecafilmfestival.com. To learn more about Montilla Pictures (Jon & Andrew Cooke) and to see the trailer please check out www.montillapictures.com. Everyone at Will Eisner Studios couldn't be happier about this great news and hopes that you will join us in congratulating Andrew and Jon. Hope to see you at the show. A Spirit Summer Special featuring a trio of tales! We start off with a supermodel gone bad, then follow a path of intrigue through an old tenement building, and finish off with an unjustly accused cabbie. Three stories with humor and heart, told in the best tradition of the Spirit. An Exhibition in the Cartoon Research Library's Reading Room Gallery. The exhibition draws from the Cartoon Research Library's Will Eisner Collection to celebrate highlights of his life and career through rare photographs and original art. The exhibit opens with samples of Eisner's early work and includes two complete Spirit stories from the 1940s as well as art from his recent books such as Sundiata and Last Day in Vietnam. As well, on April 19, the Wexner Center for the Arts will host a special free pre-release screening of Will Eisner: The Spirit of an Artistic Pioneer, a documentary about Eisner, in the Film/Video Theatre at 7 p.m.
Eisner documentary premieres at 2007 Tribeca Film Festival! Will Eisner: Portrait of a Sequential Artist, a documentary directed by Andrew D. Cooke, written by Jon B. Cooke, with Kris Schackman as Executive Producer of Montilla Pictures, will have its world premiere at the 2007 Tribeca Film Festival in New York. The Festival announced today that the documentary on Eisner's life and career will be part of the third and final group of feature film selections in its Discovery, Showcase and Family Film Festival selections, for the sixth annual festival, taking place April 25 – May 6, 2007. The Spirit #1 a sellout! The first issue of DC Comics' The Spirit has officially sold out. A second printing with a new cover by Darwyn Cooke is on the way. News of the first guest issue in the series (#7) has been released as well. The issue will feature three stories, written by Kyle Baker, Jimmy Palmiotti and Walter Simonson, with art by Baker, Jordi Bernet, Chris Sprouse & Karl Story. The issue will be a Summer Special.